Comments: Well this issues was leading up to the big moment. 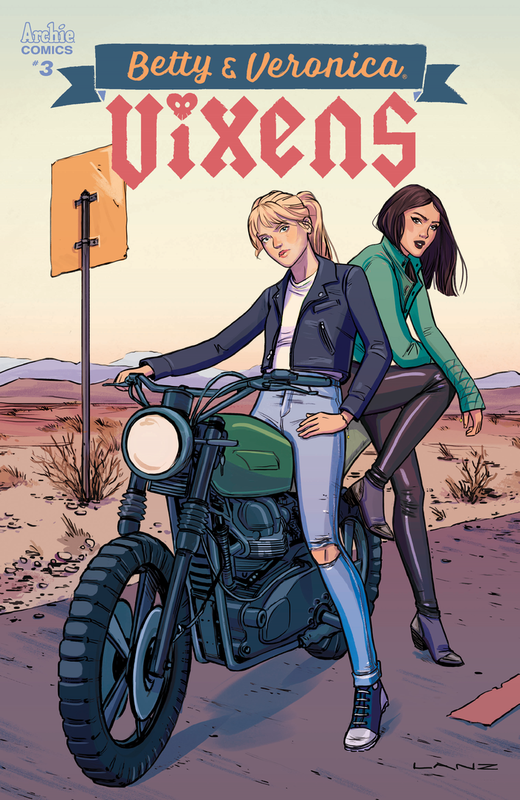 It is Vixens vs Serpents and winner gets Riverdale. Betty really gets heated up and excited in this issue. She is willing to risk it all. The Serpents leader is a mean uncaring guy. 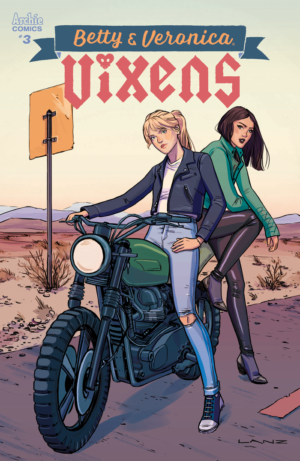 Having Betty and Veronica and the other girls, Toni, Midge, and Ethel as biker babes is certainly a new and different way to portray them. Betty and Veronica and their characters do not fit the role well. Adding in a few others like Bubbles and Evelyn does improve it. The setting overall just does not work well.